The show opened on schedule and has undergone some tweaking since then. I was at the WCMA this past week for for a video walk-through of the show and took two additional pieces with me. 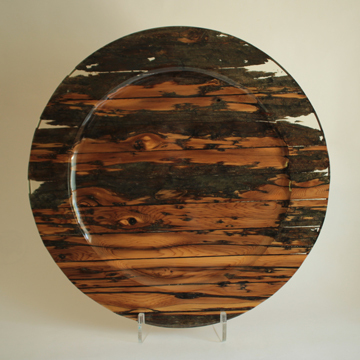 The platter on the left, "A Sign of the Times", was made from wood from the old A-frame at the House of Industry and Refuge which is now the Wellington County Museum and Archives (WCMA). You can find out more about the A-frame here. The platter on the right, "Historical Elegance", is from one of the original window frames from Langdon Hall. It is replacing another piece from langdon Hall that was sold recently. For the story on these pieces, click here. 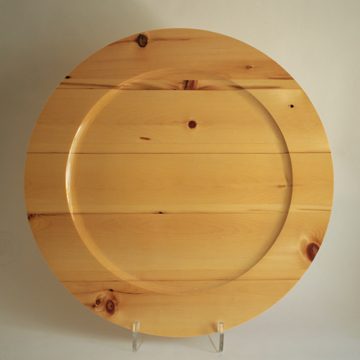 I received an email yesterday that informed me that the A-frame platter has now been sold also. I have to get working on a replacement piece! Just finishing up the last pieces for the Ojibway Art Show and have started serious work on completing the new pieces for the History in the Making Show, opening at the Wellington County Museum and Archives next month. 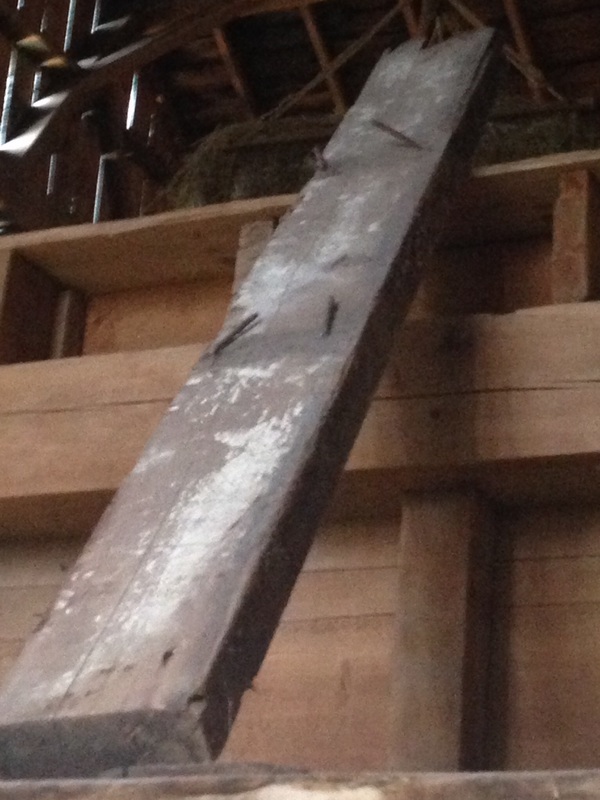 I have turned a platter from the section of beam that was removed from the upper part of the barn to make way for the mechanical hay delivery system that was installed. 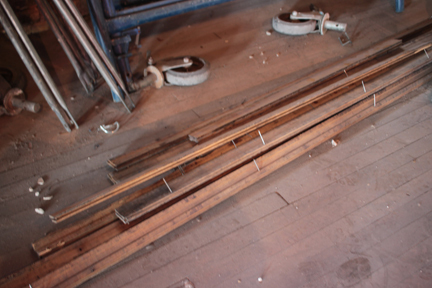 Today we started to work on the old flooring from the Palmerston Library. All the nails had to be pulled and then the wood cut as part of the process of preparing the wood for laminating. Gap created by removing the top cross member. 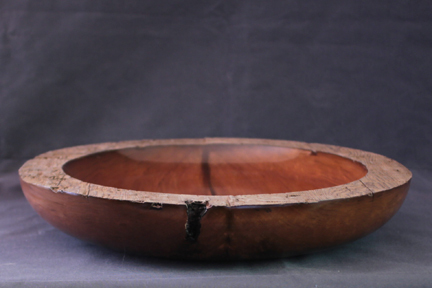 I have also turned a platter from an old wooden landroller that was part of the museums collection but had deteriorated beyond repair. This has been a phenomenal spring and now someone tells me it is already summer! Where did the time go? 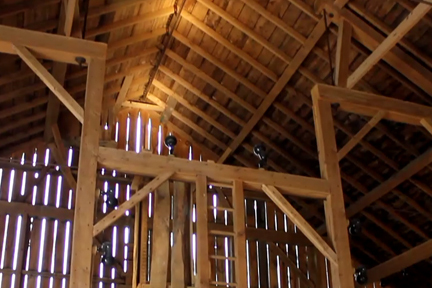 With further research into this wood, I have decided that it was introduced to the barn during the final renovations in 1937. The residents of the House of Industry & Refuge were highly resourceful and would have used anything that came their way. They certainly would not have let such a prime piece of wood slip through their fingers. 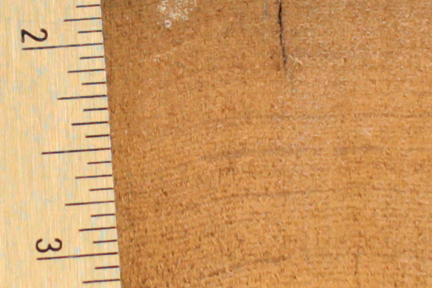 The tightness of the year rings suggest that the original tree was probably 1st growth. Working with the wood has been a pleasure. The rich cedar smell on the one hand and the way the wood cut, sanded and finished on the other tell me that this was part of a prime and valuable piece of timber. In terms of the lumber businesses in Ontario, the last of the readily accessible great stands of timber had been cut by 1937 and western wood was starting to find its way here. This piece of cedar may have been one of the early arrivals. Since I last wrote, I have brought back to the studio part of a barn beam from the House of Industry Barn, a section of the A-frame that was used for the manure removal system at the barn, part of an old log roller and some flooring from the library in Palmerston. 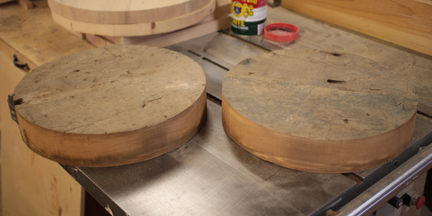 I turned chuck holes (these indentations allow me to mount the blanks securely on the lathe) in the two blanks and proceeded to turn the first one. 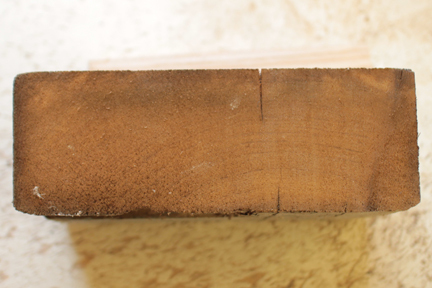 I was particularly concerned about some cracks in the wood so I designed the piece to minimize the effects from these splits. The blue tape is holding in a knot that had popped out during the turning. Ultimately, I was not able to retain the pieces of the knot. The gap in the rim added some character to the piece. 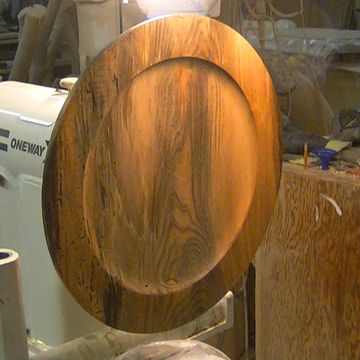 Continuing on with the history of this wood, I have pretty well decided that the date is 1937. First growth cedar was still being cut in the 1930's so this is the most likely date. The fact that it is wood from western Canada also points to this later date as in the late 1800's Ontario had no need to import western wood.